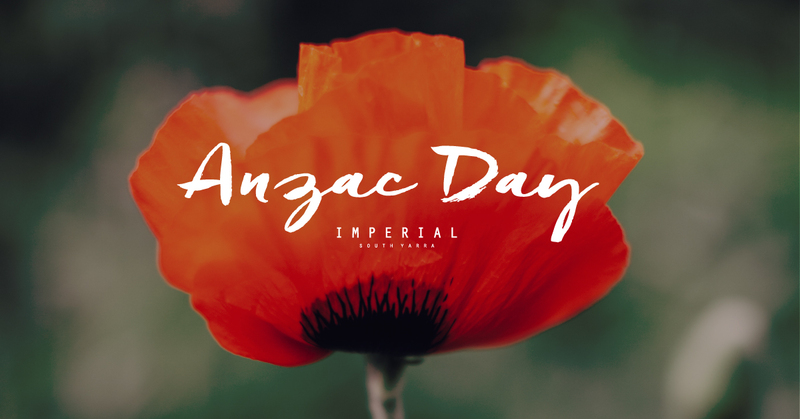 Make The Imperial South Yarra your destination this ANZAC Day Eve and ANZAC Day for live entertainment and specials for your public holiday celebrations. Anzac Eve treat yourself to a $12 Parma all day before you kick back into the night with free entry and live acoustics from 6pm. Anzac Day, settle in for the clash between Collingwood and Essendon live and loud. $12 Pizza & lunch, with $10 cocktails making the rounds to wash them down.